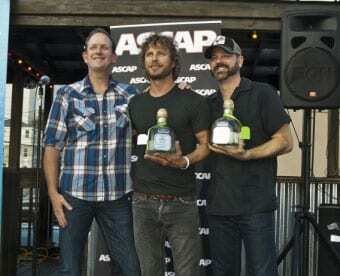 Dierks Bentley recently celebrated the success of his eighth career No. 1 song, “Am I The Only One.” Industry friends joined Bentley, along with co-writers Jon Randall and Jim Beavers, at Losers in Nashville for the event. In the spirit of the song, Bentley presented personalized bottles of Patron. Trace Adkins is donning his actor’s cap as he joins the cast of supernatural thriller The Healer, which also includes Isabelle Fuhrman, Joel Courtney, James Le Gros, Peter Bogdanovich and Natalia Dyer. Currently filming in North Carolina with writer/director Giorgio Serafini, The Healer is the story of teenage twins who go on a camping trip with their father and become lost in the forest while trying to repair old emotional wounds. Adkins plays The Truck Driver, a transporter of souls destined to hell, and his truck is a prison for eternity. Toby Keith celebrated his premium mezcal Wild Shot last week by signing bottles for fans at Binny’s Beverage Depot in Chicago. 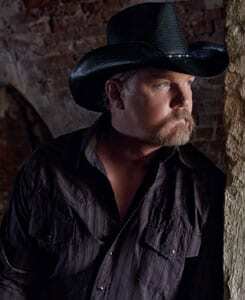 Toby was in Chicago for a standing room only stop on his Locked & Loaded Tour Presented by Ford F-Series. Keith’s “Made In America” also recently hit No. 1 on the CountryBreakout Chart.